A perfect St. Lucia morning! *sorry for the seasonally inappropriate post :) no matter what I do, I cannot keep up with real time posting through the Advent season, but still wanted to share some moments of a sweet and simple celebration! *This post is way overdue, and most of it was written back in January, so forgive me if it seems out of date and a bit disjointed - things are sitting in the draft folder while I love on a baby! Once again a new year presents itself. Once again I consider a name. Last year, I embraced the word OPEN. I would like to think I was successful in opening myself to things, and letting go even if it was just a little bit. When I wrote those words last year, I had just found out I was pregnant. At that time, we had not shared the news with anyone, and it would be another month before we did. My heart was full; with love, excitement, worry and fear, so many emotions. Four years earlier, I wanted another little one more than anything. 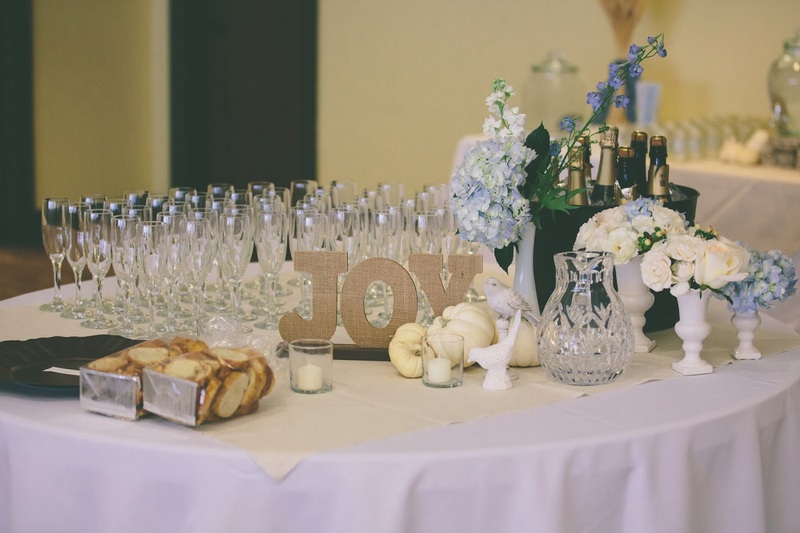 I felt our family was not complete, yet I felt selfish, ungrateful for not being completely satisfied with the joy and blessings God had already given me. I finally let go of that wish, accepted that was not to be, and embraced the stage of life I was entering. It was at the moment when I let go of my desires that God placed a new little one in our lives. I opened my hands, and He filled them. It was a beautiful lesson in accepting God's timing for things, and realizing how perfect His timing is in spite of our plans. How many things would be different had that baby come even a few weeks, let alone years, sooner than he did! Now, one year later, I contemplate a new word. I hadn't given it much thought until the very end of the year. When my mind began to turn over the idea of what word I wished to define the pages of this new chapter, I could not help but contemplate the season. The season of the Nativity is full, pregnant if you will. 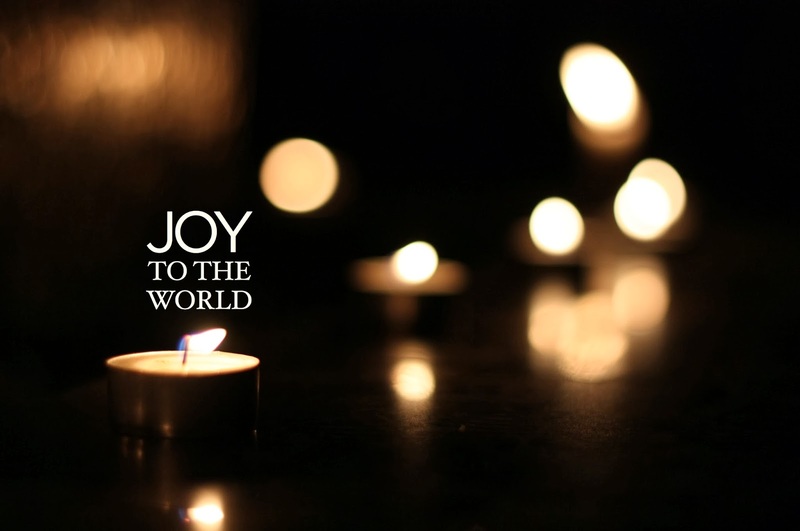 So many beautiful moments and experiences, each one looking toward the greatest gift of all, the Light of the World, the bringer of true Joy. Joy. How many times that word seemed to pop up! Rather than I choose a word for the year, it was as though a word chose me. In an almost serendipitous way, I found that word appearing everywhere I looked. I had purchased a lettered decoration for the baptism back in October that proclaimed it. I bought it because it was burlap, and fit so well with my decorations, and of course, it was a joyful occasion welcoming our little one into the fold of the Good Shepherd. After the baptism, that word resided on our fireplace above the stockings, a daily reminder to smile and enjoy each day. Our little princess loves to make cards for everyone at Christmas, and she creates these 'word cards', folded papers cut into the shape of a word. Last year the card she made me was "love." This year my card read "joy." After Christmas, I ordered some items from Dayspring. When my order arrived, there was a mix up. They had shipped someone else's order. When I called to let them know, they graciously told me to keep the mistaken order, and they would ship me the items I had ordered as well. One of the items in that mistaken order was a beautiful set of letter blocks, to spell out various words. My eye immediately went to the letters J...O...Y. So this is the year of JOY. I am learning more and more that opening my hands, letting go, leads to joy. I will try to rejoice in each day, looking to the example of the bee who finds the flower in the room, rather than the fly who finds the garbage. This year we are having company over tomorrow, and I have spent the past week working through a major cleaning/decluttering project that was started when I was pregnant, so we didn't have a get together for St. Brigid's feast day the way we usually do. I have been spending a lot of time planning ideas for our year though, so while we didn't use any of these this year, I thought I would post my ideas and plans and we will look forward to implementing some of these next year! 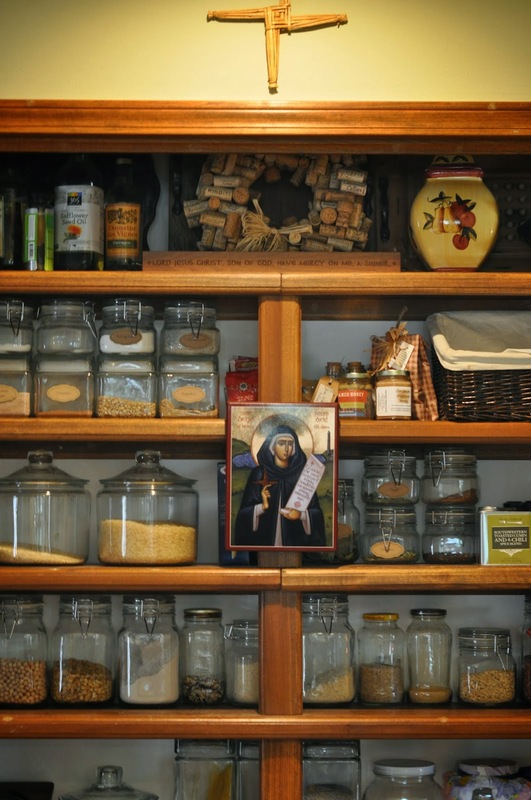 Pantry Cleaning: I typically clean out my pantry on St. Brigid day. Since she was known for her generous pantry and willingness to always offer food to those in need, her icon hangs at our pantry. This is a great day to go through and declutter the pantry, clean jars, refill stores of food, take stock of what is needed, and remove any items that need to be discarded. Food Pantry Donations: During all of that cleaning and organizing is a great time to find items to donate to a local food pantry program. Doing this with the kids is a great reminder that we live in abundance and that many do not have a pantry of food to go to when they are hungry. Tea with friends: Always a favorite in our house, we often invite friends to come celebrate with us. We have made fresh butter, baked Irish Soda bread, and created St. Brigid Crosses together. 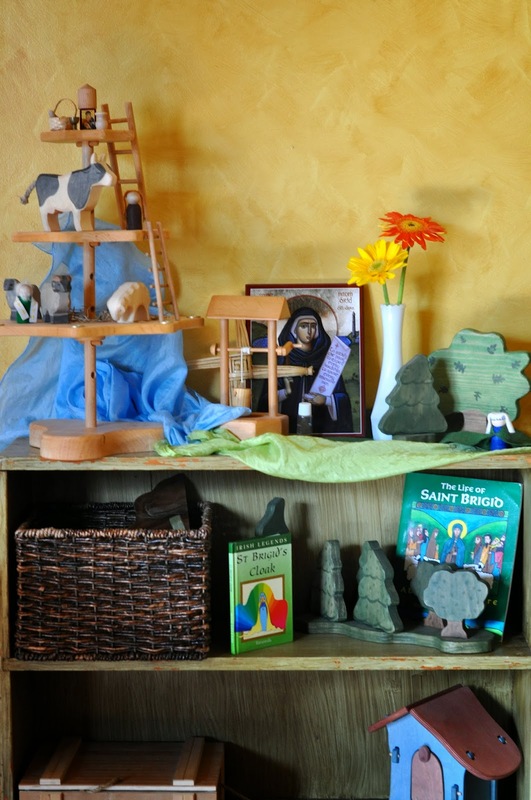 Read The Life of St. Brigid: One of my favorite Orthodox children's books! Set a seasonal table: We have recently moved ours into the kitchen where it is more visible throughout the day. I found a small wooden shelf that fits nicely into a small space in the kitchen and we are really enjoying it. The small vial in front of the icon contains water from a Brigid Well brought back by my in-laws when they travelled to Ireland, as well as the cross. We borrowed the icon and cross from the pantry temporarily. We also got a festivity stand this year, which I am loving! I have always enjoyed Mat. Emily's posts featuring a stand like this, and this year got one for Christmas. 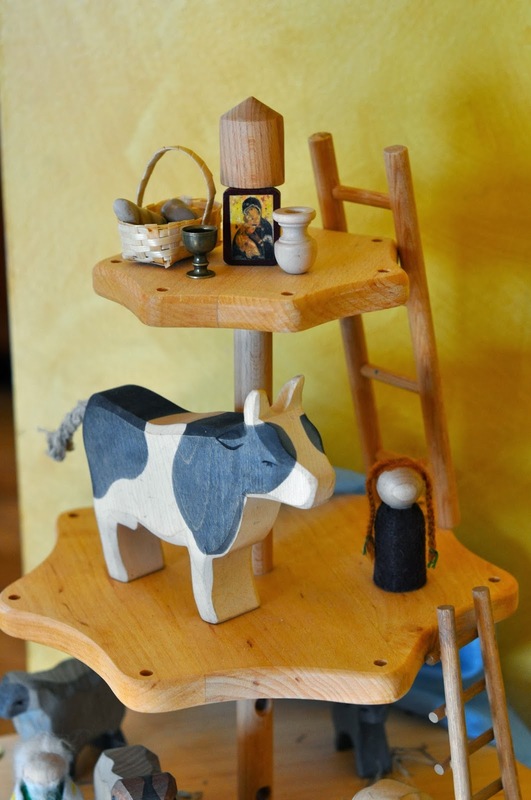 The girls have taken over the role of setting it up for most feasts and seasons and they have a lot of fun digging through the various wooden animals to locate things relating to the life of a saint. Letting them set it has been a great way for them to remember what they already know about each saint.